The word hoarding often connotes someone who is holding onto a lot of items to prevent other people from getting them. During WWII, hoarding was a major problem when food, metal and even gold shortages were rampant. Today, hoarding is less often about keeping things that other people want and instead just keeping rubbish. Some hoarders are coping with serious emotional issues that prevent them from throwing things out. For most of us, we tend to “hoard” simply because we don’t have the means to get rid of the stuff. That can all change with one call to Junk King Tri County. These are the junk hauling professionals who can provide fast hoarding cleanup help at all levels. Hoarding situations in the average home accumulate in storage areas like the garage, basement or attic. There could also be a large amount of items crammed into a closet that should be dealt with. Before setting up your cleanup session with Junk King, you will want to dedicate the time to sorting through all those storage areas to find out what you should keep and what can be loaded onto the Junk King truck. The result might be dozens of boxes and bags of old clothing, shoes, toys, books, sporting equipment and other household goods. All of that will be gathered up by Junk King for swift removal but you don’t have to stop there. Because Junk King is going to provide a moving team and that big truck, you will have the opportunity to get rid of the big stuff, too. That means any old sofa, recliner or dresser can be loaded up. You can also get rid of the broken appliances and unused electronics that might be cluttering up those store areas. Just imagine what your garage and basement looked like before you moved in. You can get back to that with help from Junk King. Whether you book your session online or over the phone, Junk King is going to move fast. All of your clutter could be gone within 24-hours. If you need more sorting time, then lock down an appointment for first thing on Saturday morning. Whether you’re dealing with a major or minor hoarding cleanup situation, you can always count on getting the right kind of rubbish removal help from Junk King. This entry was posted in Tri County Junk Removal and tagged hoarder cleanup, junk king, junk removal, rubbish on March 31, 2019 by Junk King. Last updated April 1, 2019 . When you are assigned the responsibility as executor of the estate you will be dealing with a lot of appraisals. The home itself will need to be appraised to see what value it might have if you decide to put it on the market. Then there are all the possessions inside that also have to be considered. Obviously, you can’t put a price on some of the keepsakes and mementos that you want to hold onto. But there could be a lot of furnishings, appliances and other household goods that can be appraised. There might even be some antiques worthy of turning over to the consignment house for sale. Once you’ve made the determination of the value of those possessions, you can decide on the best approach for getting rid of. That can either happen through an auction or an estate sale. Anything that’s left over is something that you should consider probably won’t ever sell. That’s the stuff that needs to be cleaned up and that is when you bring in Junk King Tri County. A junk King team consist of two responsible movers. These are workers who have proven themselves worthy to be licensed and insured. They have also demonstrated to junk King that they have a positive attitude for this type of work. Junk King movers are going to do all the heavy lifting. What might seem impossible for you to remove won’t be an issue for junk King. That includes pianos, dining room tables, sofas and bedroom sets. A lot of those items might have to be carried down a flight of stairs. Again, that will be an issue for junk King. As they are removing these items, they’re going to take extra care to make sure that the floors and walls of the home are protected. This is the best way for Junk King to continue to build trust among their clients and generate those positive reviews. You can book with Junk King online or over the phone. Because this is an estate clean out you may want to discuss just how big a job it is. If it is just a few pieces of furniture, then that two-man crew will be all you need. However, if it really is an entire home worth of possessions, the junk in might recommend sending over additional movers and trucks. That can happen at no additional cost. Junk King Tri County is standing by to offer fast estate cleanup help. Put them on the task today. This entry was posted in Tri County Junk Removal and tagged estate, junk king, junk removal on March 26, 2019 by Junk King. Last updated March 27, 2019 . Will you be hiring any help for your spring cleaning this year? Often there are tasks that are best left to professionals such as upholstery and carpeting cleaning. Another task that could benefit from all hiring professional would be rubbish removal. For that job you need to call in Junk King Tri County. These are the professional junk haulers who can make quick work of removing all the rubbish from your home. That’s going to take your spring cleaning agenda to a whole other level! If you set up your junk removal session before you start cleaning, then you will need to go through all the storage areas in your home to pull out the things that you want to get rid of. Yes, the big items like furniture and appliances are easy to designate for removal. It is the closets and boxes down in the garage and basement that require a little sorting time. But that will be time well spent free up more storage space by getting your unwanted clutter hauled away by Junk King. You can also wait until you’ve done all your spring cleaning. This allows you to get up close and personal with all your possessions and decide which are worthy of holding onto. You probably don’t want to hire an upholstery cleaner to steam clean a couch that you’re going to toss out. In fact, you don’t have to worry about the condition anything you turn over to Junk King. They accept everything whether it is usable or not. Quite often, Junk King will make drop-offs at charities of furnishings and household goods. Many of those organizations will hire folks to make repairs. It’s always a good idea to repurpose whatever you’re trying to throw away. When Junk King is on the job that is their standard operating procedure. When you schedule your appointment with Junk King, you’ll be asked to set aside two-hour window on a day of your choosing. The Junk King crews will move fast. They probably won’t take up that two hours unless they’re dealing with a major cleanup. If that is something that you need to take care of, then let the junk King crew know and they may call in backup help. When you put Junk King Tri County to work for your spring cleaning agenda, you’re going to be left with a home that is 100% rubbish free. This entry was posted in Tri County Junk Removal and tagged junk king, junk removal, spring cleaning on February 28, 2019 by Junk King. Last updated March 3, 2019 . Every home has their list of “go to” professionals. You couldn’t survive without having a reliable plumber or auto mechanic that was just a phone call away. For general repair around the house it helps to have a dependable handyman. What about the issue of getting rid of rubbish? It is not just the things you can toss out into the trash. It is the big stuff like old furniture or kitchen appliances that require a professional junk hauler to remove from your home. When you need that kind of help, Junk King Tri County should be your go to junk hauler. Junk King should be your junk hauler because of the dedication they bring to each and every junk removal session. When it comes to removing junk, they’re going to do all the work. You don’t need to bring anything down to the street. It also won’t be a problem if you live in an apartment building without an elevator. Junk King crews will happily climb any flights of stairs they need to to get to the stuff you want removed. That includes going down into the basement. Just think of how many things you have down there like to get rid of. Now is your chance! You can set up your session with Junk King online or over the phone. It would be a good idea to have a general since of what you toss out. You won’t have to lockdown that final list until the day of your appointment. That’s because the junk King crew will be able to lockdown your fee until they’ve had a chance to look over all the things you want to get rid of. They’re going to base that fee on how they pack up the truck. Will your items take up one third, one fourth, one half or the whole truck? There is a price associated with each of that volume count. To Junk King crew will always try to get as much of your stuff into his little space as possible so that you’re paying the low end of the price scale. Hiring a junk hauler to get rid of your access rubbish shouldn’t be complicated. Just call in Junk King Tri County and watch how fast the work gets done. This entry was posted in Tri County Junk Removal and tagged junk king, junk:, rubbish on February 25, 2019 by Junk King. Last updated February 25, 2019 . There’s a lot you can do to modify your Stamford home. You can renovate any room by simply applying a fresh coat of paint. You can remodel a kitchen and not down a wall to provide an open flow floor plan. You can build a deck out back to extend your living space. You can even convert the garage attic into a guest bedroom or home office. After all, this is your house and you get to adapt it to any purpose. But there is another way to modify your home without tearing up floors or disrupting the family. That would be creating a junk free living environment. To put that plan in action you only need to call in Junk King Tri County. 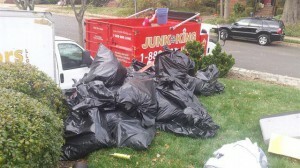 Many of your Stamford neighbors have already utilized the services of Junk King. They’ve discovered that one session with these professional junk haulers really can transform their homes. It starts with you deciding what you want to get rid of. What you need to keep in mind is that you’re not to be doing any work. Imagine yourself literally sitting on a chair and pointed the things you want picked up and carried out of your home. That is exactly what you can do when the Junk King team shows up for the scheduled appointment. It doesn’t matter if the thing you want has to be brought down from upstairs or carried out of the garage. The only focus for Junk King is getting those objects onto the back of the truck. How those objects are packed on the truck also matters. That is how your final fee is going to be determined. This is an estimate that is provided by the Junk King crew had a chance to look over all the things you want to get rid of. Their experience and expertise of packing allows them to get a lot of things into a small space on the truck. What you might think takes up the full truck actually only needs half of the truck. That’s good news because it means you only be paying a half of truck fee. One session with Junk King Tri County can be truly transformative for your Stamford home. Are you ready to become junk free? This entry was posted in Tri County Junk Removal and tagged junk free, junk king, junk removal on February 1, 2019 by Junk King. Last updated February 1, 2019 . What is the last thing you misplaced in your home? Most folks can’t get through the week without losing a remote, pair of glasses or set of keys at least once. Even if you’re extremely organized there are those times when you carry something from one room to the next without thinking about it and then it becomes “lost.” Usually, the moment you stop looking for something is when you find it. Hopefully, you won’t have replaced it in between! There is something else in your home that you might have lost that can be recovered and that is storage space. Perhaps it’s better to say your storage space hasn’t been lost so much as it has been taken over by a lot of stuff. Is all of that stuff worth keeping? When the answer that question becomes, “no” then it is time to bring in the junk hauling pros from Junk King Tri County. You have to make the final determination as to what can be hauled away by the Junk King crew. Here’s what you should consider: you’ll be assigned to movers for your session with Junk King. Those two movers are at your disposal to lift and load just about any object you want to get. Size and weight are not an issue. The Junk King team can just as easily haul away an old pool table as they can a box of sweaters. The location of that item in your house also isn’t a major factor. You shouldn’t bring anything down from your second floor or up from the basement. This is what you’re hiring Junk King for. Let them do the work and you spare your back any strain! With regard to scheduling, you can set up your appointment with Junk King over the phone or online. On the day of your appointment the Junk King crew will stay in contact with you to let you know their progress. Every customer is asked to set aside a two-hour window. That allows the crews plenty of time to get through traffic. It also means that they can finish early in might be at your place sooner than anticipated. That can be a good thing because it means you’ll be able to get back to your day as quickly as possible. When Junk King Tri County is finished with their junk removal session, you’re going to appreciate how much more storage space they’ve helped you create. Put them on that job today. This entry was posted in Tri County Junk Removal and tagged junk king, junk removal, storage space on January 27, 2019 by Junk King. Last updated January 27, 2019 . It’s always nice when you can do two things at once. Folding laundry and catching up on some of your DVR shows is a prime example. So is cooking dinner while catching up with a friend on the phone. Sometimes to take care of two things at once you need to bring in a little help. That would be the case if you had to handle Christmas tree removal and junk hauling. Those two events might not seem like they go together but when you hire a company like Junk King Tri County they are a perfect match up. Do you have a specific day that you like to take down your Christmas tree or is it all about rushing to make sure you get it outside to be picked up by the garbage? When you hire Junk King there is no rush. You can extend the holiday and keep it up as long as you like. That’s because junk King is going to remove it on your schedule. You pick the day and the two-hour window for junk King and that’s when though make it happen. 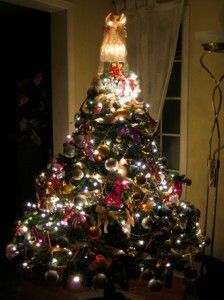 Of course, it’s not can it take two hours to remove Christmas tree! They just need that time to get from one appointment to the other. The Christmas tree that goes on the back of the Junk King truck will be the first item loaded up. It can be joined by a lot of other unwanted stuff from around your home. Are there any pieces of furniture that you like to get rid of? Are there some old televisions or computers that can be cleared out? What about all that clutter in the closet and garage? What would it look like if all of those things could be removed in a single session? It would look like a home with a lot more storage space. Isn’t that something you’d like to have happen the start of the new year? The cost for Junk King’s service is fair and affordable. If you were to do this is a DIY task, then you’d have to go out and hire your own moving crew, rent your own truck and then take the time driver around and dispose of it all. That would be a very expensive way to spend your day off. Instead, the Junk King team can get in and out of your property with all your stuff in very little time. And the fee will be based on how the truck it’s packed up with your stuff. You know this price before the work begins. And there won’t be any hidden charges at the end. Take care of Christmas tree removal and junk hauling from your home the right way by putting Junk King Tri County on the job from the start. This entry was posted in Tri County Junk Removal and tagged Christmas tree removal, junk king, junk removal on December 31, 2018 by Junk King. Last updated January 1, 2019 . Junk King asked that you set aside a two-hour window on a specific day of your choosing. That two hours is more for travel time than actual loading time. But you’ll find that because of that Junk King is able to always be on schedule and prompt. Lifting a heavy object is in complicated when you know the proper technique. What is it potential challenge is to make sure that heavy object can be safely removed from the home without causing any damage floors and walls. This is something that Junk King excels at. They are a lot of experience maneuvering all kinds of furniture and appliances downstairs and narrow hallways. It doesn’t matter if the junk is upstairs or down in the basement. All that matters to Junk King Tri County is that you want to gone. Put them to the task today and you’ll be adding your own positive review tomorrow! This entry was posted in Tri County Junk Removal and tagged junk king, junk removal, reviews on December 26, 2018 by Junk King. Last updated December 26, 2018 . The best advice for any home buyer is to think of the future use of their home. In other words, if a family is going to be part of the equation, then not only will they need room for all the kids but also for the out of town visits from grandparents and other family members. There are some homes that can utilize alternative spaces to create a guestroom. There’s nothing wrong with setting up a cozy bedroom in an attic or even converting the garage. Wherever the guestroom is in your home you want to make sure it is ready for your holiday visitors. That preparation begins with a call to Junk King Tri County. The way the Junk King can help get your guestroom ready is simple: they will remove every piece of furniture that doesn’t belong there. Sometimes our guestrooms become the storage unit for all the unwanted furniture in the house. Any chair, table or sofa that has been worn out were replaced will end up in the guestroom. It might seem like it is functional but in reality, it is actually just cluttering up that space. All a guestroom really only needs a bedroom, a nightstand and a dresser. The Junk King crew will swiftly remove all the rest that’s not needed. If you want to make room in your closets, then take the time to sort through all the things you have in there. Not only are there plenty of outfits hanging up that could be discarded but you’ll probably also come across a lot of things in the shelf or the floor the closet that you don’t need any longer. All of those items can be turned over the Junk King. You don’t have to bag or box them up. The crew will pick everything up right on the spot. They’ll also make sure that whatever you’re getting rid of that can still be used again will be donated to a charity. This is a very efficient way of getting rid of your stuff. The best guestroom you can offer is one that is free from rubbish. Junk King Tri County can help make that happen today. This entry was posted in Tri County Junk Removal and tagged and guestroom, junk king, junk removal on November 30, 2018 by Junk King. Last updated December 2, 2018 . Between now and Christmas you’re going to come in contact with a lot of folks who have the same agenda. There will be shoppers looking for a bargain at the mall and at the grocery store. There will be people on the road heading home for the holidays creating potential traffic jams. And there could be kids of all ages who might drive you a little bit bonkers over the winter break while they’re waiting for Santa. Despite all of those possible stress inducing activities there will come a time when everything calms down and you can enjoy the happy holiday. Before you get there, you might want to bring in a little help from Junk King Tri County. 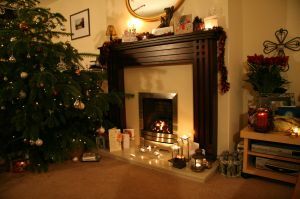 These are the junk removal pros that can help you transform your home into a terrific Christmas house. Imagine how hard it would be for you to carry a sofa out your front door by yourself? It simply couldn’t be done. With the two-man moving crew from junk King on the scene that sofa removal will be a breeze. Best of all you won’t have to lift a finger to get it done. All you have to focus on is pointing to the things you want removed and Junk King will handle the rest. That might require spending some time before the crew shows up sorting through all your storage areas. This is a good chance to finally clean out your closets of all the unwanted outfits that you know you’re never going to wear again. It doesn’t mean those things need to be trashed. Instead, Junk King is going to try and get those items dropped off at local charities. That way they can are the be given directly to families it need or put into a thrift shop where they can raise money for those charities. This is the best approach for getting rid of these kinds of items. And it’s not just clothing that they would accept but also furniture, appliances, electronics and other household items. The sooner you get Junk King Tri County to clear out your house all the unwanted rubbish the sooner you can get your holidays started in a junk free home. Won’t that be nice? This entry was posted in Tri County Junk Removal and tagged holidays, junk king, junk removal on November 25, 2018 by Junk King. Last updated November 25, 2018 .